A former U.S. Ku Klux Klan chief was arrested Friday in a Prague restaurant while he was on a speaking tour here, Czech police said. 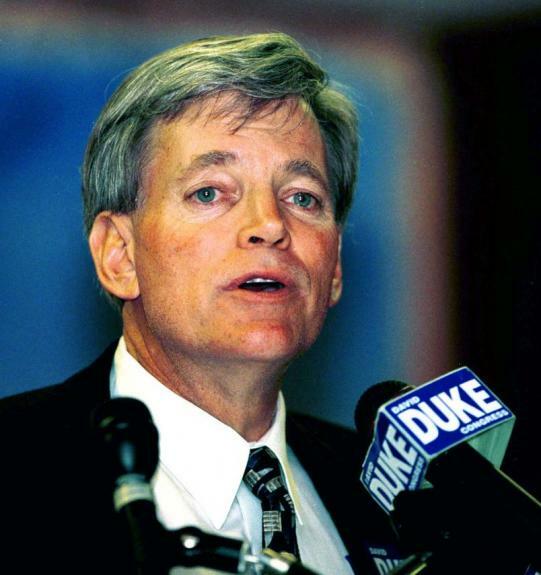 Former Grand Wizard of the Louisiana-founded Knights of the Ku Klux Klan, David Duke, was arrested on suspicion of promoting movements seeking the suppression of human rights, police spokesman Jan Mikulovsky told local media. The arrest, in a tourist area of picturesque old Prague, took place in “quite confused” circumstances, said David Janda, the head of an anti-extremism unit of the city’s police force. Janda said Duke—who had been due to give three lectures in the Czech Republic—was guarded at the restaurant’s entrance by militants belonging to a known far-right group “Narodni Odpor,” which means national resistance. Duke, a U.S. citizen, is suspected of denying or approving of the Holocaust and other Nazi crimes, according to the CTK news agency. This crime is punishable by up to three years in prison in the Czech Republic. Czech Interior Minister Ivan Langer and Human Rights and Minorities Minister Michael Kocab had each expressed disapproval of the visit earlier in the week. The Ku Klux Klan was founded in 1866 by a group of Civil War veterans from the defeated Confederacy, a group of southern states that upheld slavery and maintained African Americans were inferior to whites. It is notorious the world over for terrorising black Americans through lynchings, cross burnings and other hate crimes. The group enjoyed a peak membership of about five million in 1925, including politicians and even a member of the U.S. Supreme Court. But the Klan went into virtual bankruptcy as early as the late 1920s and since the late 1970s, its membership has varied between 3,000 and 6,000. This entry was posted on April 30, 2009 at 3:42 pm and is filed under Hate, Israel, Israeli, Jewish History, News, racism, Uncategorized, World News with tags David Duke, David Duke arrested, David Duke KKK, David Duke Prague. You can follow any responses to this entry through the RSS 2.0 feed. You can leave a response, or trackback from your own site.